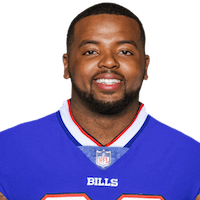 Analysis: Towbridge went undrafted out of Louisville in 2017 and spent his rookie season on the Bills' injured reserve list. After parting ways with Buffalo, Towbridge played for the Atlanta Legends in the now-defunct AAF, recording 17 catches for 196 yards across eight games. He'll now look to make an impression during OTAs and training camp in order to earn a spot on Tennessee's 53-man roster. There are no videos available for Keith Towbridge. Click here to view all videos.